We were honored to celebrate with Joe and Nicole for their wedding celebration at Stroudsmoor Country Inn’s Ridgecrest venue! 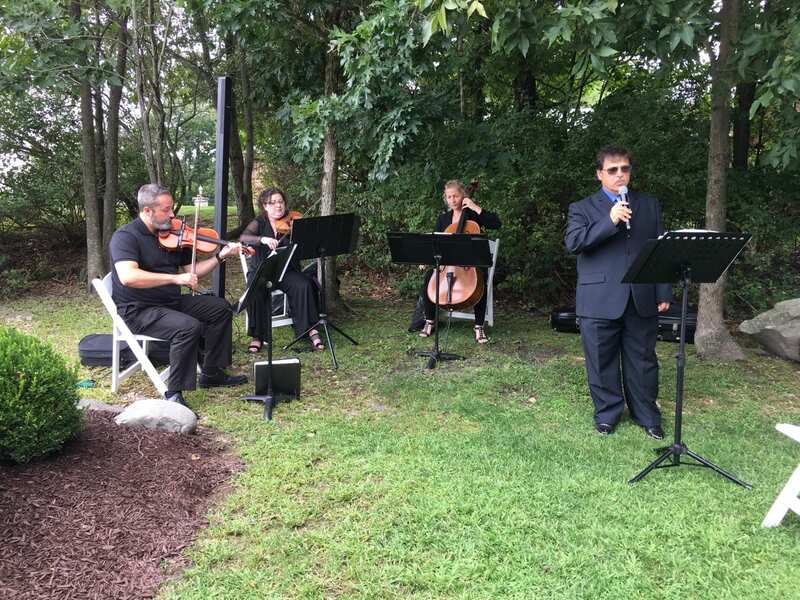 The celebration began with the ceremony, where Penn Strings provided violinists to perform. Bob Wagner sang with Penn strings performing a few hymns during the service. Guests lined up at the end of the ceremony for a big group photo Crys Bogan Photography captured! Everyone headed toward the cocktail area where they enjoyed many appetizers served by the staff at Stroudsmoor. Once heading into the ballroom. they were greeted by navy colored uplighting surrounding the room and beautiful white floral arrangements on the tables. Rockin’ Ramaley got the guests excited for introductions, as Jake Patton with Jake Ryan Productions got ready to capture the moment on video! Joe and Nicole shared their first dance, followed by their parent dances. After dinner, Joe and Nicole chose a build your own donuts station provided by the baking team at Stroudsmoor Country Inn. The dance floor opened up with a special dollar dance, where guests donated to share a dance with Joe or Nicole! Then it was time to party with open dancing through out the night.